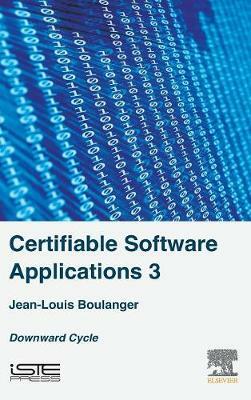 Certifiable Software Applications 3: Downward Cycle describes the descending phase of the creation of a software application, detailing specification phases, architecture, design and coding, and important concepts on modeling and implementation. For coding, code generation and/or manual code production strategies are explored. As applications are coded, a presentation of programming languages and their impact on certifiability is included.